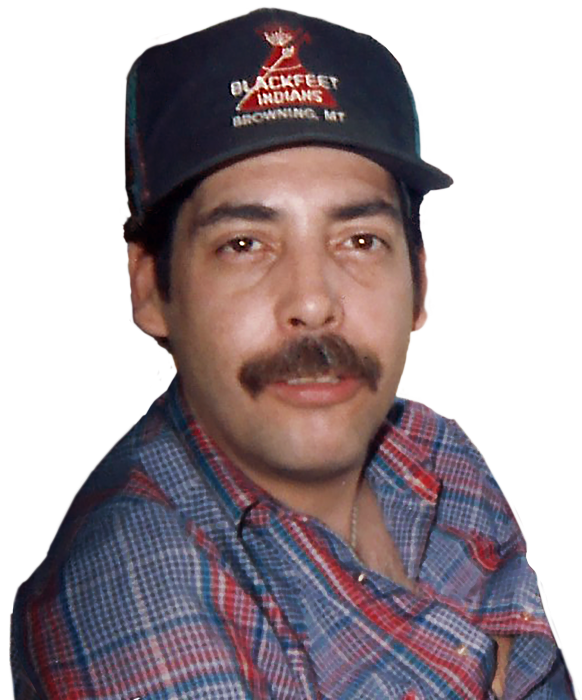 William Archie Sharp, 57, of Great Falls, MT, passed away Saturday, February 2, 2019. A Wake will be held from Noon on Wednesday, February 6 till Noon on Friday, February 8 at the Glacier Homes Center in Browning. A Rosary will be held on Thursday, February 7 at 7:00 PM at the same location. The Funeral Service will be held Friday, February 8 at 2:00 PM at the Little Flower Parish, followed by a Reception back at the Glacier Homes Center. Billy was born in Los Angeles, CA on January 19, 1962 to William Francis Sharp and Treva Mae Glenmann. He was one of a kind, a very cheerful happy go lucky kind of guy. He loved watching football on TV and drinking beer, sitting by the river fishing, and listening to his music. He worked most of his life as a baker-donut maker and cook. He enjoyed visiting friends and family, telling stories of his travels and the many adventures with his wife Patty. Billy is survived by his sisters, Melody “Jeanie” Lyons (Sid), Juanita Sharp (Wes) of Colorado, Mary Gallagher of Tacoma, WA, Margie St. Goddard (Daryl); brothers, William “Cowboy Bill” Sharp (Yvonne), David Sharp (Kelly), Richard DeRoche (Cheryl), Charles DeRoche (Terri), Douglas DeRoche (Kaye), all of Browning, Jack Sharp (Terry) of Minnesota; many nieces and nephews; relatives, Jewel Snell (Frank), Wilma “Bubbles” Sharp, of Great Falls; special friend, Neets Arcand. Those who have preceded him in death include his wife, Patty; parents and Aunt Mardell Conway (Ponch). We are going to miss him. He always made us laugh.